Before K-pop groups with their electro beats and synched dance moves, there was the generation of artists that helped pave the wave for the birth of modern music in Korea. One member of this generation overcame poverty, government suppression, harassment and torture to become one of the world’s most respected guitarists. 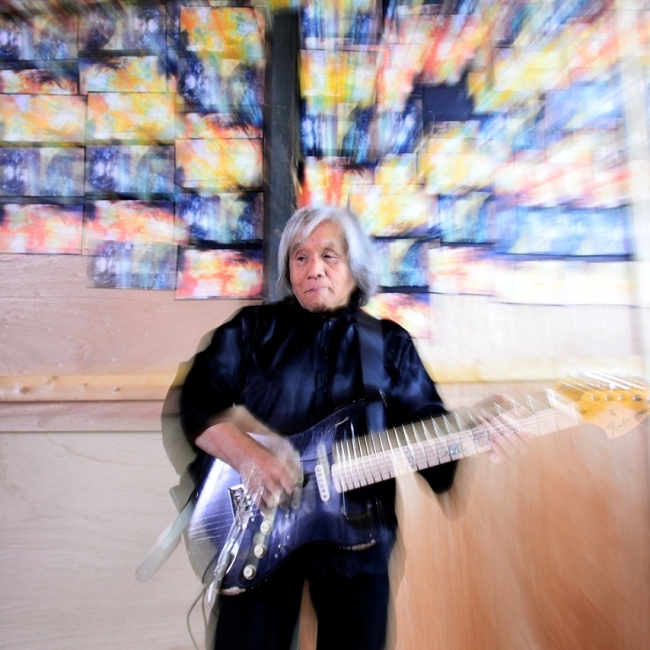 At 74, legendary rock guitarist Shin Joong-hyun, who was instrumental in the psychedelic rock movement in Korea in the 60s and 70s, can still shred the guitar. After five decades, he still shows no signs of giving his strings a rest. “I will continue to work hard and make good music,” Shin said in an interview with The Korea Herald at his home in Yongin on Monday. His mother died when he was a child, and his father and stepmother died shortly after each other when he was a teenager. At the end of the Korean War in 1953, Shin decided to move to Seoul on his own and began working at a pharmaceutical factory to earn money while going to school at night. One day Shin went into a music store with the money that he had saved and purchased a violin. “I first started to learn to play the violin but later decided that it was not for me,” he said. “I went back and traded in my violin for a guitar.” He then began teaching himself how to play and hasn’t stopped since. Shin worked at the factory until the second year of high school, still practicing the guitar as much as he could. When he just couldn’t take it anymore at the factory -- it was grueling work -- he left. At the age of 19, he decided to audition to play at clubs on the American military bases. Following the war, American soldiers were stationed all over Korea and once every six months, the military bases held auditions for new acts. At the time, the military bases were the only places where Korean musicians could perform on a regular basis. Shin claims that the military clubs were the birthplace of Korean rock. Listening to AFKN is how he discovered the sounds of jazz and rock and was inspired by some of the musicians he heard, including The Beatles, Ella Fitzgerald, Elvis Presley and Jimi Hendrix. Shin’s musical passion stemmed from the songs that he heard and led to his founding of psychedelic and acid hippie rock in Korea. The rock star shared one of his most memorable moments in his illustrious musical career. One night while he was playing on the stage with his other band members, he heard shouts. “People in the audience kept yelling out for me to do a guitar solo, but I didn’t know how. So I told our manager that I really wanted to do a solo, and asked him what he recommended I do.” His band manager then walked over to the club promoter and asked him which solo Shin should perform. In shock, Shin’s first thought was that the audience couldn’t possibly be clapping for him, that there was some kind of mistake. But there was no mistake. Shin then walked up to the microphone and introduced himself. His popularity as a musician on the U.S. bases began to skyrocket, and he released hit after hit. At one point, he was performing up to 40 shows a month. However, in 1972, at the peak of his career, he received a phone call, a call that thrust his music career into a downward spiral. The call was from the office of President Park Chung-hee. The musician instead wrote an eight-minute piece about the natural beauty of Korea, called “Beautiful Rivers and Mountains.” Soon after, the harassment began. The police went as far as confiscating guitars and grabbing his hair on the street and cutting it off, along with others who had long hair. This was an era when mini skirts and long hair were banned and smoking imported cigarettes was illegal. He was arrested for possession of marijuana in 1975, tortured in prison and later incarcerated in a psychiatric hospital. Upon his release, he was banned from any and all public performances and his music was banned from the airwaves. He was blacklisted. President Park was assassinated in 1979, and for Shin the clouds began to lift. Clubs slowly started allowing Shin to perform and in the 90s, people began to rediscover his music. Today he is known as the godfather of Korean rock. In 2009, he became the first Asian musician and the sixth in the world to be the recipient of a Fender Custom Shop Tribute Series guitar, joining five other rock legends in this exclusive club: Eric Clapton, Jeff Beck, Eddie Van Halen, Yngwie Malmsteen, and Stevie Ray Vaughan. Shin’s first-ever globally-released album, “Beautiful Rivers and Mountains: The Psychedelic Rock Sound of South Korea’s Shin Joong-hyun,” was released by the U.S.-based Light in the Attic Records last year. In September, Shin, alongside American folk musician Rodriguez and U.K. singer-guitarist Michael Chapman, held a sold out concert at the El Rey Theatre in Los Angeles. 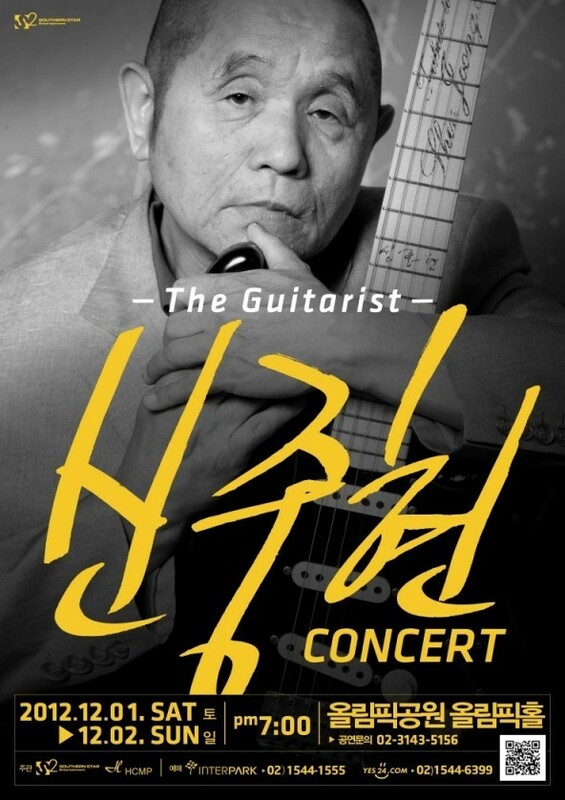 The legendary rocker will hold a two-day local concert event on Dec. 1-2 at the Olympic Hall in Seoul.